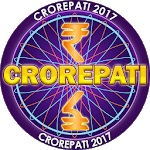 Crorepati 2017 is a game like world famous Television show KBC. 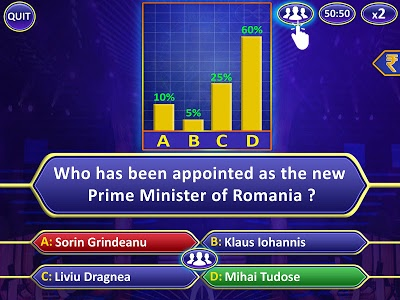 You get four answers for the single question , so you have yo choose correct one form among four. 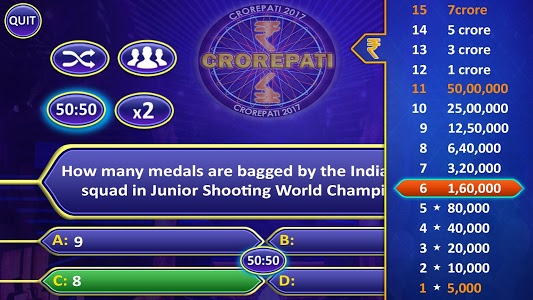 In a starting of the game you have to choose a ‘PADAO’ for your expected win , if you over take there you won at least your target choose. 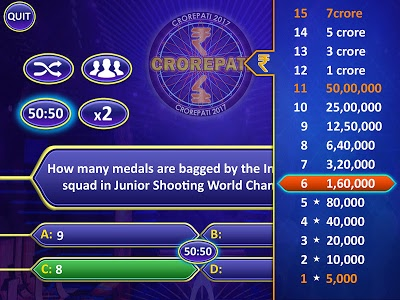 Game have more three default ‘PADAO’ which are ‘1,60,000’ , ‘50,00,000’ , ‘7,00,00,000’ ,so if you over take it you won at least one of this which was crossed you recently. 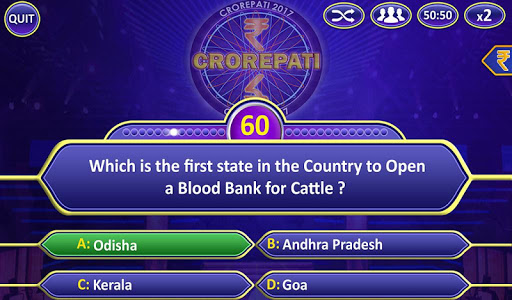 Until you reached ‘PADAO’ you have to submit you answer within 45 seconds else game will be over. 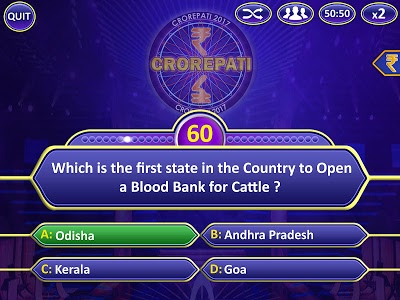 After the ‘PADAO’ you get unlimited time for give answer. You can choose any of them single time. After use of that life line it will not live any more. If you choose this life line you have to give a answer. 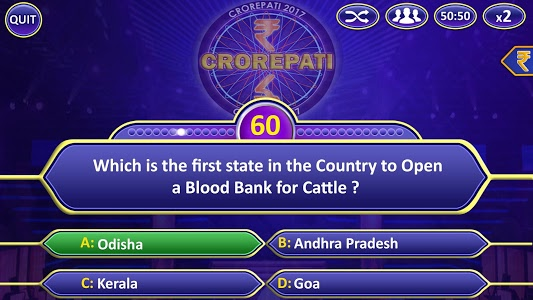 This lifeline allows the you to make two guesses at a question.If first answer wrong you get another chance for same questions. 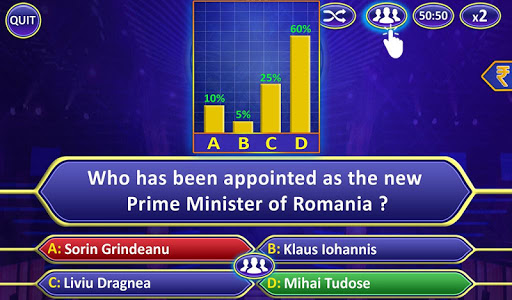 If the contestant uses this lifeline, the host will ask the computer to randomly remove and eliminate two of the "wrong" answers. Competitive exams like IPS, IAS, UPSC (Union Public Service Commission), GPSC (Gujarat Public Service Commission). SSC, Bank Exams or Clerk PO exams. Now a days Indians youth has lot of scope in the field of competitive exams. 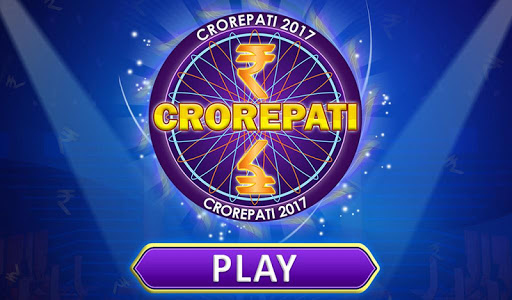 > Best games for children, family, intellectuals and students of competitive exams. > We will update this game frequently so you will get new lot of questions. > The Quiz Game is really interesting and you will be able to become quiz master in front of your friends. 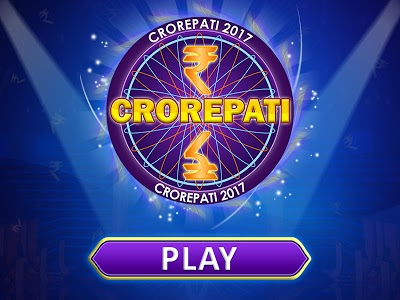 > Game will be covering various topics like GK (General knowledge), Indian History Quiz, Cricket Quiz, Bollywood quiz, film quiz, History quiz, International quiz and questions from almost all the topics like Social Science, Science, Mahabharata, Ramayan, Quran, Bible, spiritual questions and difficult questions too. > Challenges are the essential part of anyone’s life, so if you love challenges, you will be able to enjoy this cool game and definitely share with the people you love and care. Our whole idea is to raise your intellect and IQ with entertainment and that is why we have put cool graphics and amazing sound effects in this game. 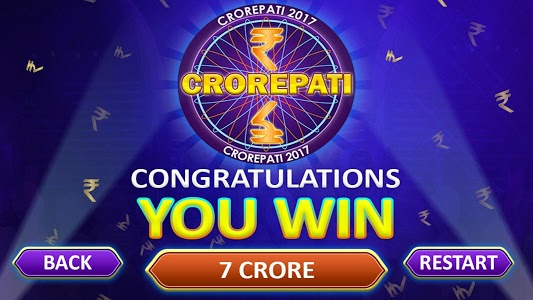 After the end of game you get wining screen with your prise money. This is not an official Game. We do not represent any show or any TV channel. This is just to entertain our users. Best of luck! 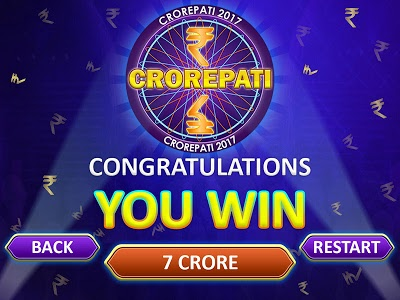 Keep Playing Crorepati English. Similar to "Crorepati 2017 KBC Quiz - Who wants to be a Rich?"